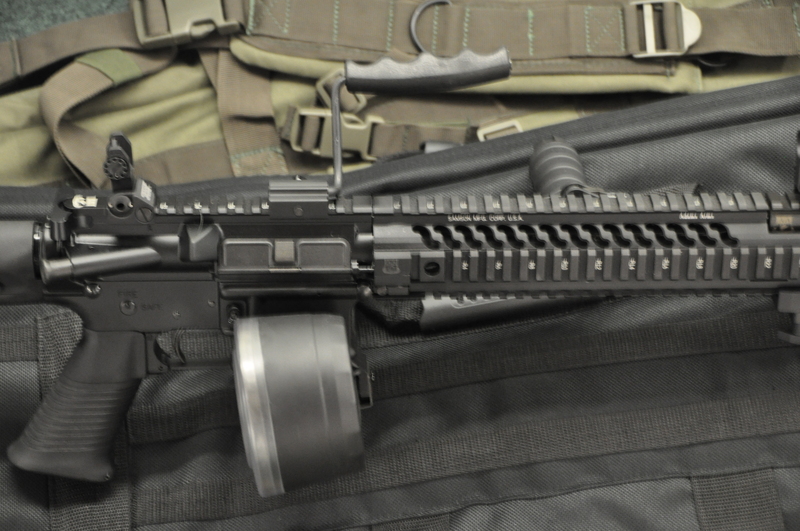 This Custom AR is built to throw a lot of lead downrange fast. The Adams Arms piston system is built to run cool and clean under heavy use. 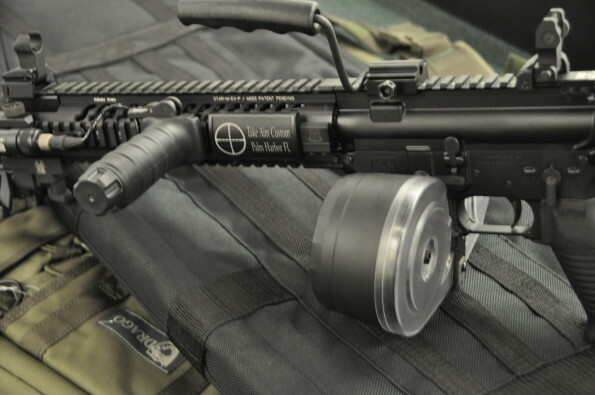 Samson quad rail, Magpul PRS stock, Tapco SAW grip, and a 100 rd drum mag. Troy Dioptic sight, and folding FAL style carry handle. 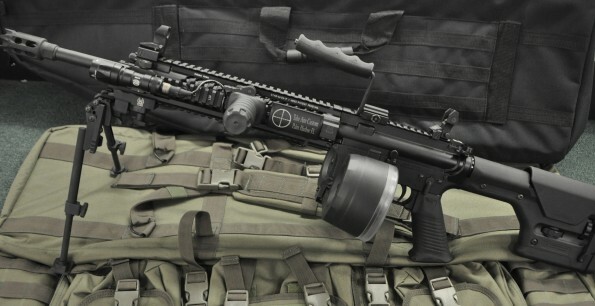 Tango Down QD horizontal grip, and a Surefire KX1A light. 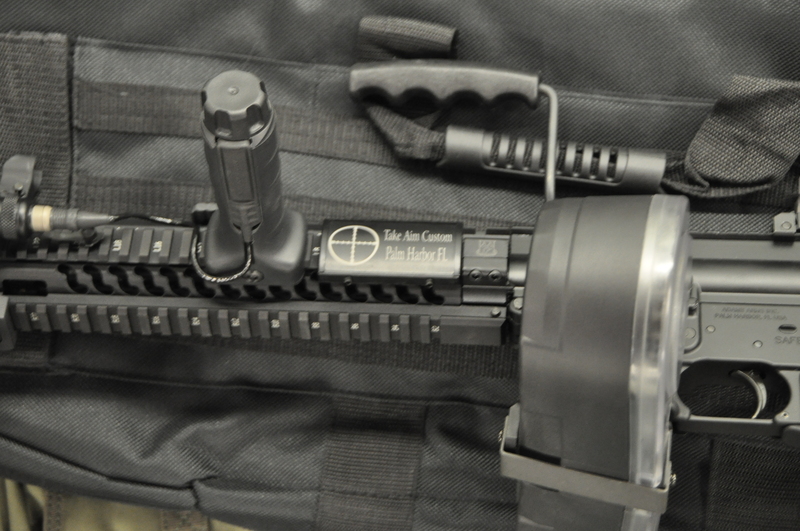 A GG&G bipod and a Gogun Flash Hider.